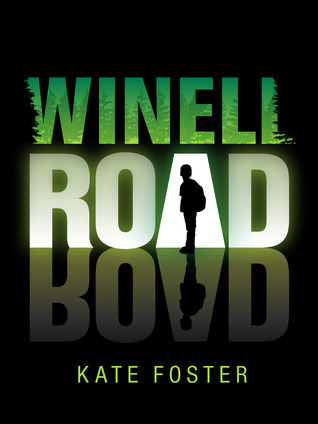 WINELL ROAD by Kate Foster – Blog Tour! My awesome friend Kate’s book Winell Road is having a festive blog tour this week! Take a look. It’s an awesome book. When Winell Road: Beneath the Surface was released back in April, Kate didn’t embark on a great deal of promotion. Because of a lot of ‘things’. So, to make up for that and to kick off the festivities for her favourite time of year – Christmas! – she’s taken Winell Road on a little tour, hoping to spread the word and introduce lots of new young readers to, what she believes is, a great big dollop of sci-fi fun and adventure. Twelve-year old Jack Mills lives at 5 Winell Road and probably has the world’s weirdest neighbours. Like freakishly weird. And to top it off, he lives with Mum: nosy, interfering, a hideous cook, and Dad: unsuccessful inventor of the Camera Belt and Self-Closing Window. All in all, it’s a boring, embarrassing, dead-end place to live. So when Jack arrives home from school one day, a close shave with a UFO is the last thing he expects. But the fact it doesn’t abduct him, and that no one else, not even Mum, sees the gigantic flying saucer hovering over the street, adds a whole new layer of strange. Soon after, an alien encounter threatens Jack’s life and he becomes embroiled in a galaxy-saving mission. With the assistance of his new neighbour, frighteningly tall Roxy Fox, he discovers Winell Road is hiding secrets—secrets Jack might wish he’d never uncovered. Go to Goodreads to see a few more. If you would like to stalk Kate you can follow her on Twitter or visit her blog, where you can also find out about her editorial services. It would make a great stocking filler for children. BUT, if you’re feeling particularly lucky, she’s giving away three signed copies just in time for Christmas! Yippee! If you don’t win, then the book is available all over the virtual world.